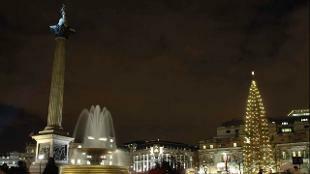 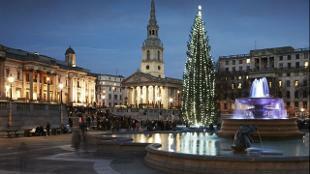 Hear festive songs and carols ring out across central London in the countdown to Christmas with Christmas carols in Trafalgar Square. 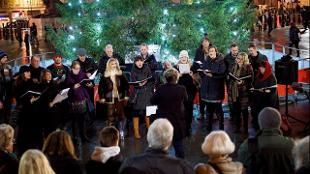 Throughout the build-up to Christmas, more than 40 carol groups each sing for an hour beneath the Christmas tree in Trafalgar Square to raise funds for voluntary or charitable organisations. 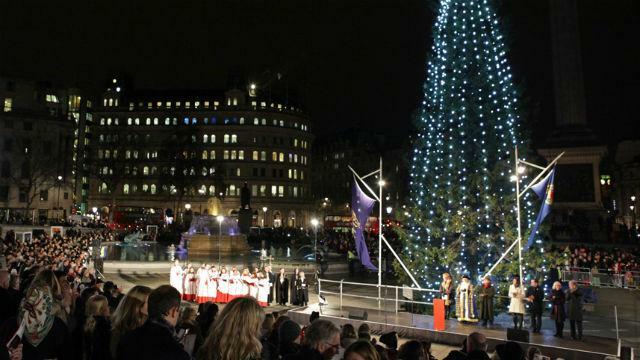 Resembling a winter wonderland with the world-famous Christmas tree in place (an annual gift from Norway since 1947), the scene is set for an atmospheric recital of classics during these Christmas carol concerts in Trafalgar Square.